Right out of the box, you'll count on the VersaLink C400 colour printer to consistently and flawlessly perform the tasks that make your business work more efficiently. From IT-free installation wizards, to step-by-step configuration options, you're ready to go—hassle free. 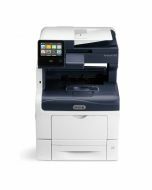 With the VersaLink C400 colour printer, you can be confident that your documents will look their best—making you look your best—giving you the confidence you need when presenting to your customers. With the customizable, capacitive 5-inch colour touchscreen, you can tap, swipe and pinch your way through tasks and functions with mobile-like ease. 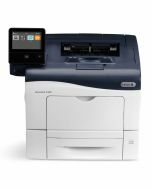 The ability to connect and print from multiple devices is key for today's worker, and the VersaLink C400 colour printer meets the challenge with optional Wi-Fi and Wi-Fi Direct, plus Apple® AirPrint®, Google Cloud Print™, Xerox® Print Service Plug-in for Android™, Near Field Communication (NFC) Tap-to-Pair and Mopria®.